The full text of this review is at Meridian Magazine. I know I need a little OOMPH of my own New Year’s plan to cherish and secure my DAILY walk with the Savior through meaningful Scripture study prayer time is to be successful. This lovely book is like a Siri app on your phone to gently guide temporal application of spiritual, scriptural, Christ-centered lessons related to 1) time management, 2) dealing with emotional stress and 3) achieving a healthy physical lifestyle. A quick paragraph or page at the beginning of personal study time from this book can pave the way for a much richer scripture study and prayer experience. This year “Sacred Soul Space” will sit with my scriptures and Conference report in my own scripture corner. It will notreplace the scriptures themselves or the personal revelation there-in, but it will serve as a simple, delicious appetizer to warm up my heart and spirit for the feast of the actual scriptures and words of the living Prophets. I intend to have a new colored pencil in its own special color to mark the scriptures that have come to me from “Sacred Soul Space.” That way I’ll be able to easily find them again for application and reference. 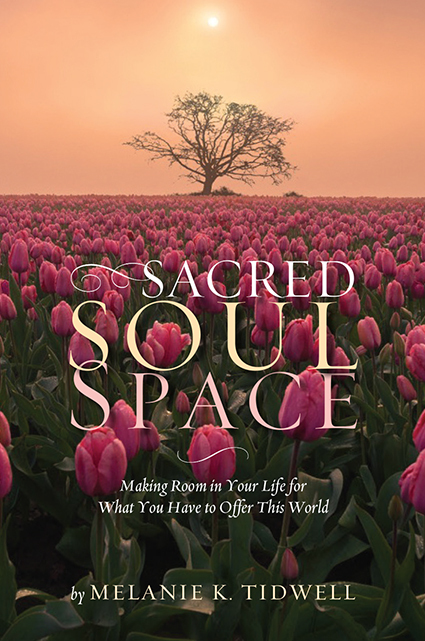 Sacred Soul Space is available at Sister Tidwell’s website: http://www.sacredsoulspace.info and at Amazon.